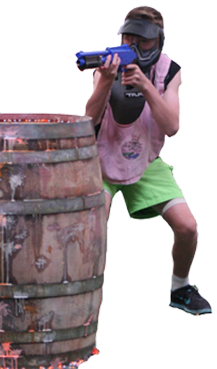 Paintball in Victoria is extremely popular and a great excuse to get out of the house and do something active and fun with family and friends. Victoria is the sporting capital of Australia and it’s probably why Paintball in Victoria leads the way over the other states of Australia. There are approximately 12 separate Paintball venues in Victoria with the majority being Paintball fields in the Melbourne suburbs and surrounding areas. The closest Paintball venue to Melbournes CBD is Oakleigh which is not only the largest Indoor Paintball facility in Melbourne but the largest in the Southern Hemisphere. Oakleigh Paintball is not only the largest indoor Paintball facility but also the cheapest Paintball field on the Victorian Paintball scene, with Paintballs being sold at only $10 per 100 balls. We have 4 different fields to play on with exciting scenarios such as a Wild West set up with 10 huts or a Junk Yard with 4 cars and Truck Tyres to hide behind. 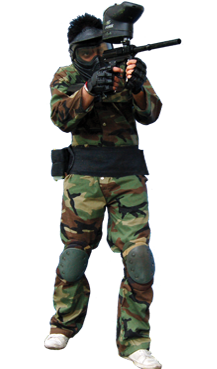 Oakleigh Paintball also caters for a lot of Bucks Parties and Corporate events. We have deals with local businesses who will deliver food (Pizza) to feed the troops and we have a good mixture of soft drinks / sports drinks / Ice creams to choose from to finish off the experience. The closest field to the CBD in the Western suburbs is Little River. Little River Paintball is located just past Werribee and is situated on 10 acres of the SSAA land (sporting shooter association of Australia). The sounds of the Big GUNS going off in the background adds to the excitement of the day, then hitting the awesome Paintball fields makes for a great adventure for any corporate event or Bucks Party / Birthday Party. Little River Paintball have sessions that go for 4 hours in duration. Everyone starts with a safety brief and a gun tutorial, followed then by hitting the fields for 1.5 hours playing time (45 mins on two separate fields). We then give you a chance to get your mask off and get some fluids into you before heading back out for part 2 and playing another 1.5 hours on two separate fields. Little River Paintball is the cheapest outdoor field in Victoria and if you start with a 600 paintball pack we offer any extra reloads at only $10 per 100 which like Oakleigh is the cheapest paintball price in Australia. World Series Paintball really try to ensure we give great value for money when it comes to the Paintball prices. Luckily for food at Little River there is an onsite café run by the SSAA which does a variety of really good quality food and we also can offer a BBQ to sit and enjoy a sausage sizzle after the game with a few stories of who conquered who on the field. As stated above there are 12 Victorian Paintball fields however the two mentioned above are the two closest ones the CBD and the two Cheapest Paintball fields in the state. We hope you enjoy them. EXPECTED PLAYERS 1 2 3 4 5 6 7 8 9 10 11 12 13 14 15 16 17 18 19 20 21 22 23 24 25 26 27 28 29 30 31 32 33 34 35 36 37 38 39 40 41 42 43 44 45 46 47 48 49 50 51 52 53 54 55 56 57 58 59 60 61 62 63 64 65 66 67 68 69 70 71 72 73 74 75 76 77 78 79 80 81 82 83 84 85 86 87 88 89 90 91 92 93 94 95 96 97 98 99 100 100+ What about your mates?